1. 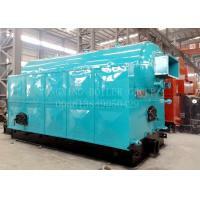 The biomass steam boiler produced by the company is a single-cylinder vertical-type water-fired tube shell boiler. 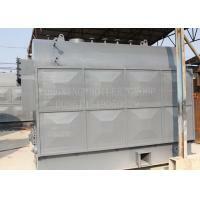 The combustion equipment is an active grate. The water-cooled wall on the left and right sides of the furnace is a radiant heating surface, and the two-wing flue and the internal threaded pipe of the drum are convective heating surfaces. 2. The front and rear furnace walls and the water-cooled walls on both sides are made of refractory bricks. 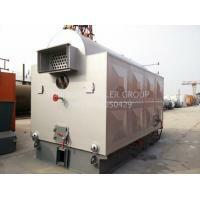 The biomass boiler is shipped out of the factory. 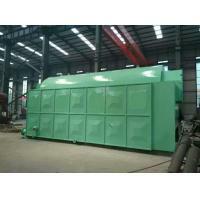 Blower, induced draft fan, dust collector, electric control box, water pump, valve, instrument, smoke duct takeover, etc., according to the drawings supporting the factory or factory regulations according to the contract. 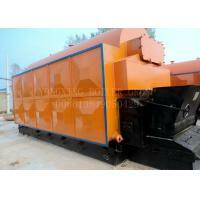 Two copies of the factory technical documents are provided. 1. The arch tube and the threaded tobacco tube are used to form the drum, which makes the drum into a quasi-elastic structure, which effectively reduces the tensile stress. The pipe in the tube plate was changed from two return strokes to a single return stroke, which completely solved the problem of cracks in the tube sheet. 2. The riser row is arranged in the lower part of the drum, eliminating the dead water area at the bottom of the drum, so that the sludge is not easy to deposit, and the high temperature zone of the drum can be well cooled, preventing the bulging of the lower part of the drum. 3. 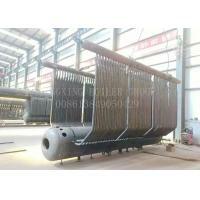 The heat transfer efficient threaded pipe can enhance the heat transfer effect, achieve the characteristics of boiler heating and rapid boosting, and greatly improve the thermal efficiency of the boiler. 4. 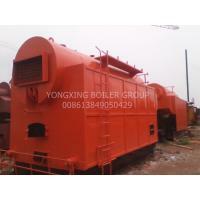 The boiler has a compact structure. 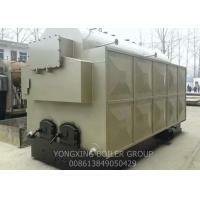 Compared with the same type of boiler, the external size is small, which saves the investment in the boiler house infrastructure. 5. 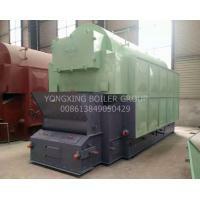 The boiler runs stably and is easy to adjust. With 110% overload capacity. 6. Due to the disturbance of the flue gas in the threaded pipe, it is not easy to accumulate dust in the pipe, which plays a role of self-cleaning. 7. The exit smoke window in the furnace has a certain dust-reducing effect. The boiler exhaust gas concentration is controlled below the national standard, which ensures that the boiler soot emissions meet the environmental protection requirements. 1. The site is basically level and the fire, traffic and pedestrian roads are smooth. At least the ground floor of the plant should be rough ground. It is best to use the standard factory protection ground. The test site should have obvious signs and boundaries. The danger zone should have fences and warning signs. 2. The scaffolding in the boiler working area is completely removed, and the site is cleaned, which is in full compliance with the normal operating procedures of the boiler. 3. The ladders, walkways, railings and guards in the trial area should be put into use according to the installation. 4. The drainage channel is unblocked, and the channel and hole cover are complete. 5. The industrial, fire-fighting and domestic water systems of the trial operation area should be able to be put into normal use and have sufficient fire-fighting equipment. 6. The trial site has sufficient formal lighting. Accident lighting should be able to automatically invest in time when the fault occurs. 7. There should be a formal communication device for each running position. Temporary posts shall be added according to the requirements of the trial operation, and reliable communication facilities shall be provided. 8. 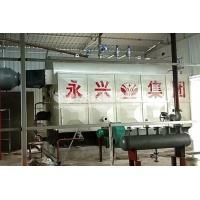 Strengthen the anti-freeze measures in the boiler room. 9. 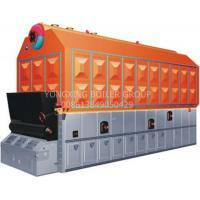 Ensure proper ventilation and moisture resistance in the storage area of ​​biomass fuel. 1. Offer lifelong door - to - door after sale service and quarterly visiting if possible. 2. 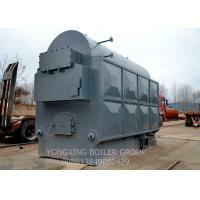 12 months warranty period, if boiler body or accessories are damaged under proper operation, Yongxing boiler will maintenance or replace the damaged accessories for free (except spare parts). 3. 12 hours service hot-line, offer proper solutions to solve the problems happened during operation.